Let’s face it… we love ranch dressing. I’m not too sure if it’s an international thing, but I know that Americans can’t seem to get enough. 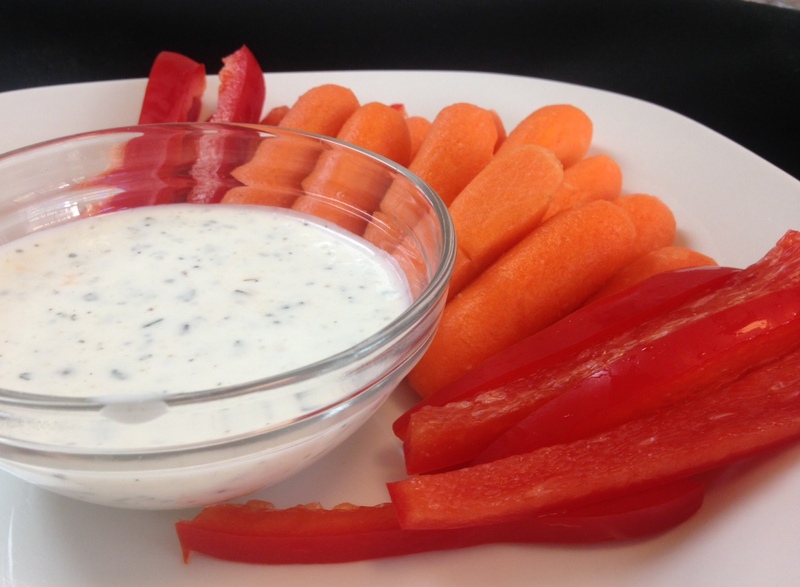 While my regular Buttermilk Ranch Dressing recipe is loved by the many faces I’ve seen eating it, it is chock full of sour cream, mayo and buttermilk and would probably fall perfectly under the “not very good for you” category. Be sure to check out Trish’s Chicken Strips that were also made with Chobani. 1. Whisk together yogurt, mayo and all spices. 2. Slowly mix in milk a tablespoon at a time, until desired thickness is reached. 3. Whisk all ingredients very well. It is recommended to refrigerate this for at least an hour before serving. Give the whole mixture a quick mix each time you retrieve it from the fridge. Tags: #madewithchobani, food, greek yogurt ranch, greek yogurt recipes, homemade ranch, how to make ranch with yogurt, made with chobani, recipes, yogurt ranch. Bookmark the permalink.